SBI (State Bank of India) has now released the dates for the SBI CLERK Mains Exam 2018 results which every aspirant is expecting. 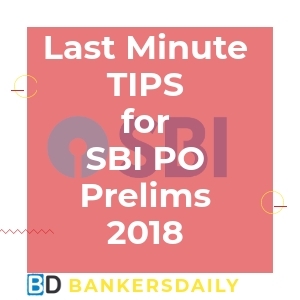 The SBI CLERK Mains Exam 2018 was conducted on 5th August, 2018 and all the aspirants who have attended the SBI CLEKR Mains Exam 2018 were eagerly waiting for the results as the SBI PO mains results were released some days back. 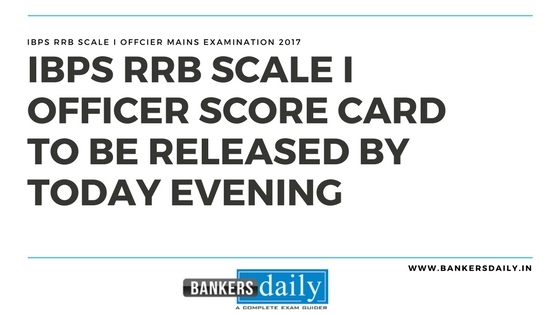 Many aspirants who have attended the SBI CLERK Mains Exam 2018 have answered more than 110 Questions (This was based on the polls conducted in our Bankersdaily website). Also the SBI CLERK Recruitment will happen for once in two years, so many aspirants would like to achieve the dream of becoming a Banker in this SBI CLERK Recruitment 2018 and also SBI is the leading Banking Organization in India. ” Candidates are requested to please note that the results of Mains Examination 2018 is expected to be declared by 22-09-2018. Further the joining of selected candidates will be by the 1st week of December, 2018″. The SBI CLERK Mains Exam 2018 were conducted on 5th August, 2018. 2 slots were conducted for the SBI Clerk Mains Exam 2018 and the exams were in the easy to moderate level. So according to the feedback and analysis by the aspirants who have attended the SBI CLERK Mains Exam 2018, the cutoff marks will be competitive and will be more because more number of aspirants have attended the Mains Exam 2018. 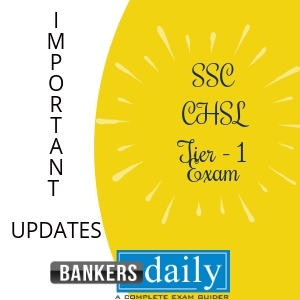 Aspirants can check the Review & Analysis of SBI CLERK Mains Exam 2018 from the links that are provided below. Aspirants can check the official notification of the changed dates of the SBI CLERK EXAM 2018 (Prelims Exam and Mains Exam ) from the links that is provided below. Know more information regarding the SBI CLERK EXAM 2018 from the official notification of SBI which is mentioned in the link given below. 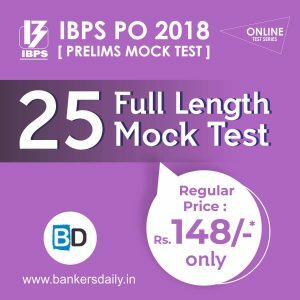 Get the MOCK TEST SERIES for IBPS PO in our Bankersdaily site. We have provided 2 Test Series with 10 sets and 25 Sets respectively. The earlier mock tests which were released for the previous exams have helped many students to crack the exams and we hope this IBPS PO Prelims Exam 2018 Mock Test Series will also help to crack the exam. South Indian Bank Clerk final result released!!! Bank of India Specialist officers 2017-18 Recruitment released!! !